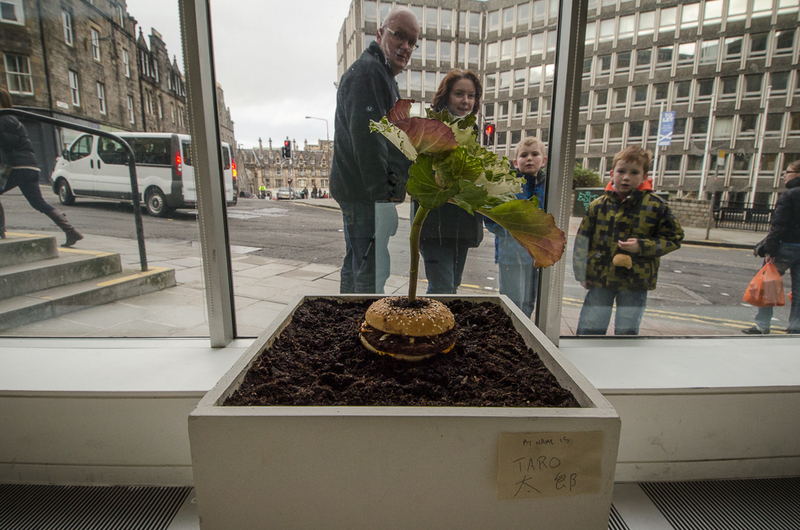 This living sculpture was installed in TENT Gallery in Edinburgh, Scotland for a week. 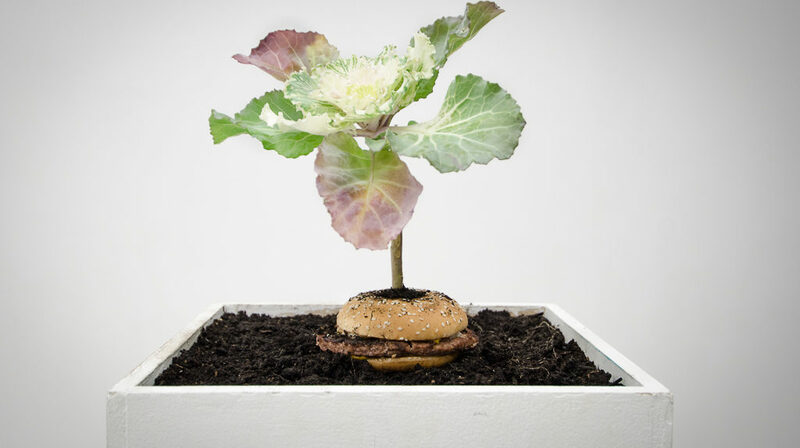 The sculpture pairs the most energy-efficient food to produce (the cabbage) with one of the least energy efficient foods (a cheeseburger). 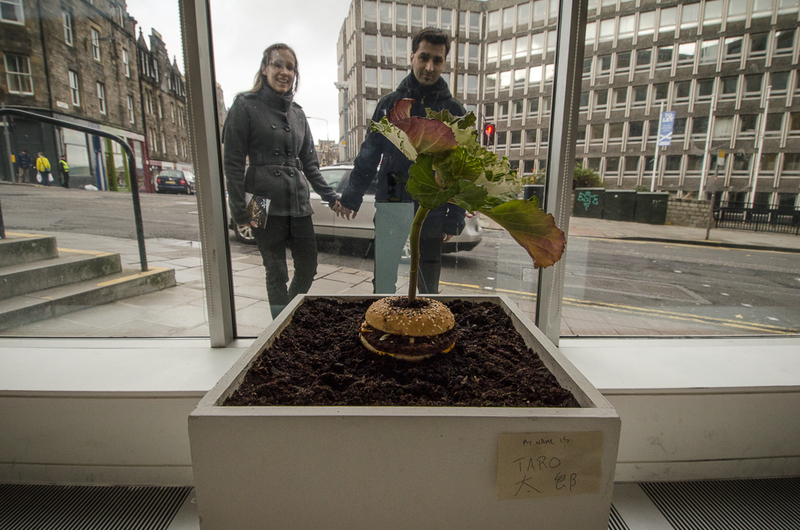 The result is a ‘living’ sculptural situation, where the cabbage slowly “eats” the decomposing cheeseburger. 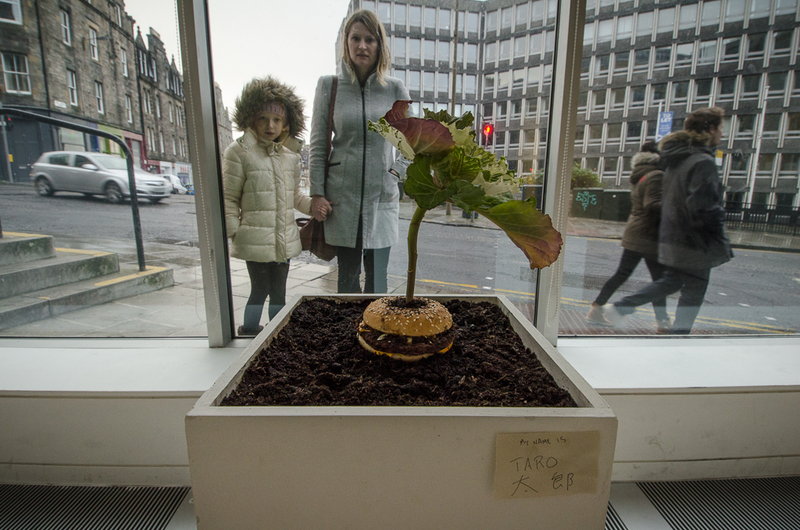 The installation was created with the help of Vero Alanis. 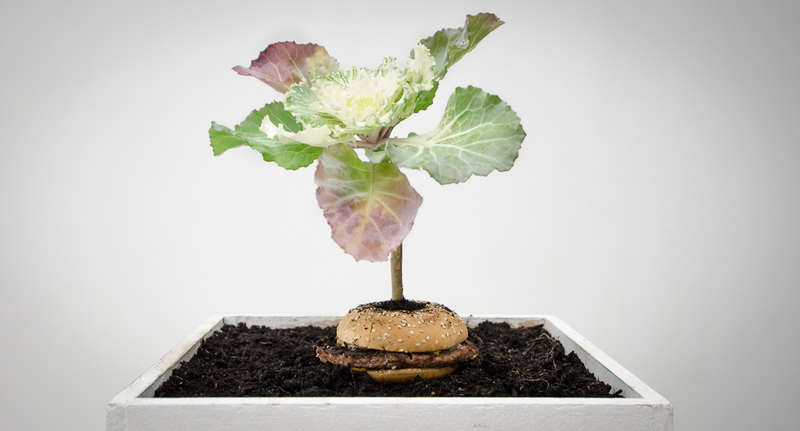 An adjoining article was published at SocieCity, comparing the energy required to produce various common foods.